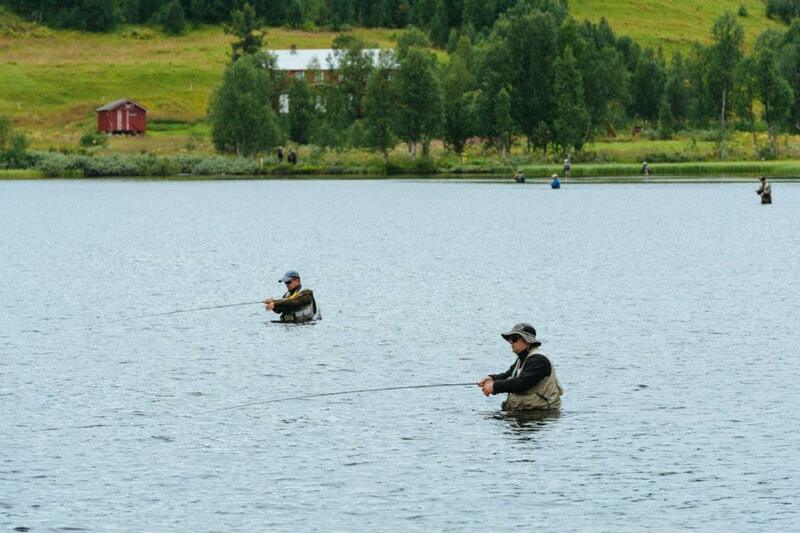 The 33rd FIPS-Mouche World Fly Fishing Championships was held from 11th-18th August, in the Vefsna region of Norway. New this year was Live Center, delivering live statistics on how competitors were doing, during the sessions! You could see whether our boys could save a blank with half an hour to go! You could also follow John Horsey on Facebook. 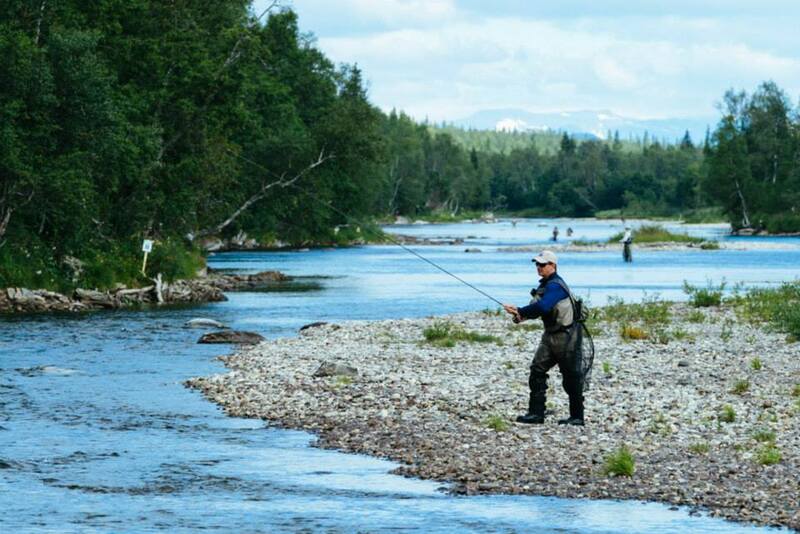 Results after 1st session: England had three good results, with Scott Nellins winning his river sector, John Horsey coming 4th= on the lake (bank) sector and Simon Robinson 7th on one of the river sectors, along with a 15th place and a blank, and ended 6th. France were 1st, (on 14pts – a 1st, two 2nds, a 3rd, and a 6th), ahead of Poland on 29pts, and the Czechs on 37pts. Results after 2nd session: England dropped to 9th place, with Scott Nellins 6th on a river sector and John Horsey 8th on the lake (boat). The Czechs overtook the French with 73pts to their 76pts, ahead of Italy on 111pts. Individually, Andrea Adreveno (Italy) and Tomas Adam (Czech) were joint leaders, winning both their morning and afternoon sessions. Scott Nellins was 8th and John Horsey 12th. Results after 3rd session: England recovered to 6th place and 229pts, thanks to Phil Dixon and Simon Robinson coming 3rd and 9th on two of the rivers sectors. The Czechs had just a two point lead over the French, 134pts to 136pts, with Italy third on 150pts. Three people were sharing Individual 1st place – Andrea Adreveno (Italy), Valerio Santi Amantini (Italy) and Martin Droz (Czech), on 8pts each. Results after 4th session: England moved up to equal 5th place with the USA on 297pts, after a win for Scott Nellins on the lake sector (boat), plus a 3rd for John Horsey and a 14th place for Phil Dixon on two of the river sectors. The Czechs were lying 1st with 172pts, ahead of Italy (208pts) and France (237pts). Valerio Santi Amantini (Italy) was the top Individual on 13pts but would be facing the tough sector 3 on the rivers in his last session. With many of these sessions about saving a blank, these positions were likely to change by the end of the day. The whole event was given TV coverage on TV2 Norway, TV4 Sweden, Yle TV Finland, Sportska Televizia Croatia and Fox TV Australia through media company IEC in Sports, who delivered daily highlights, plus an event summary. 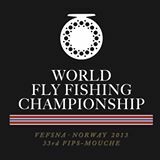 Live results were updated from the competition days, along with videos, interviews of national teams, and other highlights and information directly from the World Championships in Mosjøen. Vive! Deportes, Chile, plus The Sports Channel, Israel, were the confirmed broadcasters of the daily highlights between Wednesday 14th and Saturday 17th August. The Team England FF team was: Ian Greenwood (manager/captain), John Horsey, Simon Robinson, Phil Dixon, Howard Croston, Scott Nellins & Tony Baldwin (reserve).